Outdoor Venture Corporation (OVC), founded in Stearns, KY in 1972, is a leading and prime supplier of critical next-generation military modular tent systems, base camp components, and military accessories for the United States Department of Defense, International Governments and private industry. Originally established as a commercial tent manufacturer, OVC has expanded its offering over the years to multiple markets including sleeping bags, military tents, hunting products, basecamp units, fire containment covers, mining chambers, as well as being one of the first suppliers of automotive airbags in the country. Today, the company is structured with three major divisions: Military Shelter Systems, iPanels(Structural Insulated Panels), and OVC-Engineered Solutions. OVC is ISO Q9001-2015 Compliant and is a HUBZone Certified Small Business. OVC was founded as a family recreational camping tent business and grew to become the second largest family/recreational tent supplier in the United States. After more than a decade in business, overseas competition, which was able to produce the tents at a lower cost (due to different labor laws/lower wages) left them unable to compete and OVC recognized the company needed to re-invent itself in order to survive. OVC embarked on new product development including automotive airbags and military contract products. The airbag division, founded in 1988 and known as American Bag Corporation, generated $25 million in sales before it was sold in 1992 to Milliken & Company, the international fabric company. OVC's experience as a Tier 1 automotive supplier required them to develop high-speed precision cutting processes and high quality sewing, zero-defect products, which proved invaluable and carries over today in their military sector. 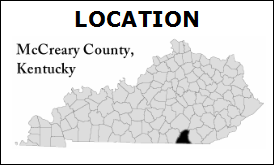 The company has five facilities in McCreary County, Kentucky with four being in the town of Stearns and one in Pine Knot, totaling approximately 400,000 ft2. In 2015, the company had annual revenues of over $32.5 million and presently has approximately 150 full-time employees. The company is recognized as one the SBA's top 10 companies. OVC is a key member of the industrial base for military tent systems and has been providing these products to the U.S. Department of Defense since 1984. Over that time the company has produced more than $300 million worth of military tents and has successfully fulfilled over 400 government contracts. OVC has received numerous awards for their innovative design changes and is the two time recipient of the Contractor Outstanding Value Engineering Achievement Award by the U.S. Department of Defense/Defense Logistics Agency for substantial savings in Value Engineering to the U.S. Government.